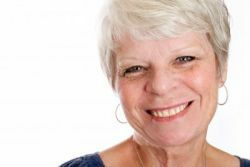 Home › Dental › Are You a Good Candidate for Dental Implants? Many people who have had tooth loss, or people with loose teeth that need to be replaced, will want to consider dental implants for a permanent tooth replacement solution. You, as the patient, are part of that team. If your dental professional and you decide to move ahead with dental implant therapy, it is your job to make a commitment to care for your implants as you would your natural teeth. You will be required to brush and floss regularly to maintain the health of your gums to keep your implants in the best condition possible for as long as possible. Although implants are not your natural teeth, they depend upon a good healthy gum and bone to remain in place for many years to come. Find Out if You’re a Candidate for Dental Implants Today! Ocean County dentist, Dr. Ron Rotem, has been changing lives with dental implants for two decades. For a professional and trusted consultation, call Dr. Ron Rotem today. Dental implants can take away the embarrassment of missing or loose teeth. Improve your life and your smile with a professional who can make your dental implant procedure comfortable and your embarrassment a thing of the past. Dr. Ron Rotem, your Ocean County professional for dental implants and sedation dentistry.